Rancho Jurupa Park has two campgrounds with a total of 131 campsites and is located along the Santa Ana River and behind Mt. Rubidoux. The 200-acre Rancho Jurupa Park has 2 fishing lakes (fish stocking schedule), hiking trails, a miniature golf course, a disc golf course, 2 playgrounds, a children’s water-splash pad, camp store, and picnic/day-use areas. The Cottonwood campground loop has 60 full hookup campsites, paved roads, paved parking pads, a laundry, Wi-Fi access, and modern restrooms with flush toilets and hot showers. Only a few trees provide shade to some campsites. Six cabins are also available for rent near the Cottonwood loop. All campsites have tables, fire rings and grates. 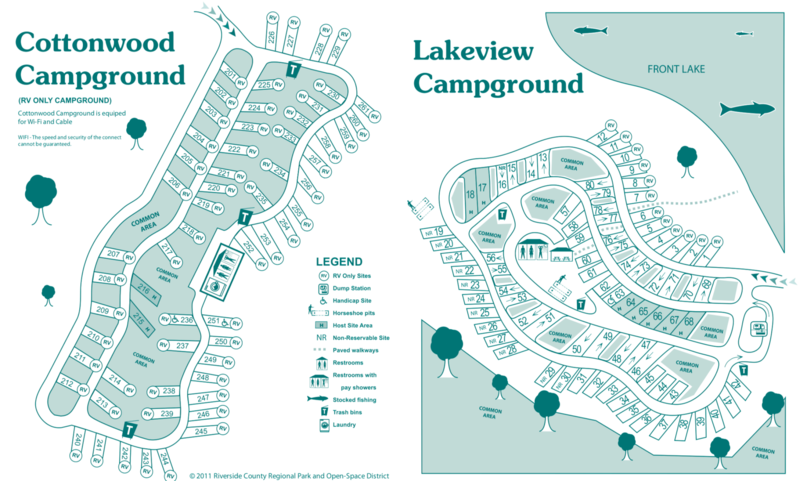 The Lakeview campground loop is more primitive, but closest to the lakes. It has 80 campsites (with dirt parking pads) set among large trees providing nice shade. There are 61 campsites with water & electric hookups and also 10 campsites with full hookups in this loop. Lakeview has drinking water, restrooms with flush toilets and hot showers, a horseshoe pit and a friendly campground host. All of the campsites have a table, fire ring and grate. Lake Skinner Recreation Area is another beautiful Riverside County Park you may want to check out. It’s about 50 miles to the southeast via Highway 215. Visted Rancho Jurupa Park Campground lately? We'd love to hear about your adventure. Did you find us useful? Did we forget something? 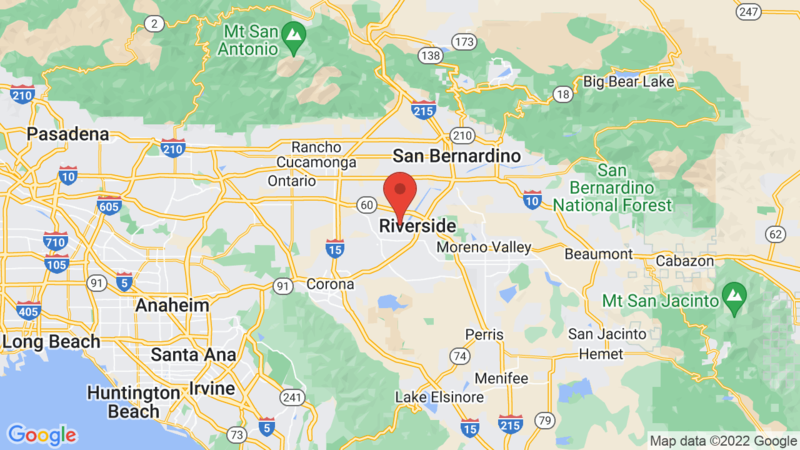 Anything our community should know before heading out to Rancho Jurupa Park? You can view the Rancho Jurupa Park campground map HERE.